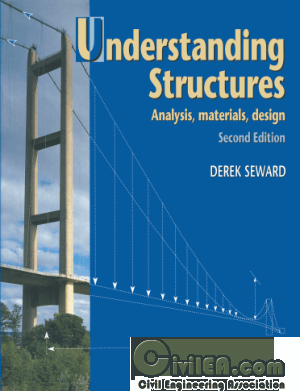 This text explains the fundamentals of structural analysis, materials and design. By adopting an integrated approach, the author aims to increase the motivation of the reader, since the relevance of the theory is explained by applying the principles of structural analysis and design to realistic examples. Emphasis is placed on understanding and developing a physical feel for the way that structures work. At the same time, the necessary mathematics is explained and illustrated by numerous worked examples. The book covers the design of statically determinate structures in all the common structural materials, and the treatment is in line with the latest limit-state approach, now adopted by National Standards for structural design in most materials. Plastic bending strength is discussed before the elastic case, on the basis that it is more easily understood first.